PT. Serumpun Indah Lestari was established in 1994, which was specialized in supplying the machines and spare parts for palm oil mill industries. Our company is supported by worldwide principals from Malaysia, Singapore, United Kingdom, and Germany. Thanks to hard-working, great planning, high support and goals oriented of our team, our company has grown rapidly and become a quite well-known supplier for its good reputation of the machines amongst its competitors in palm oil industries. Along with the improvement and development of local economic growth in Indonesia, demand for goods is also increasing which affected our business and the demands for the machines and spare part. So, by 2004, we successfully constructed a warehouse and assembling plant in order to meet customers’ demands of the products. 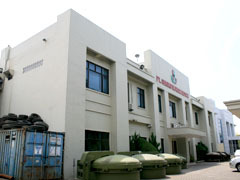 In the beginning of 2012, PT Serumpun Indah Lestari was successfully certified for ISO 9001:2008 of quality assurance, which proved that we are ready to increase our capability in all part of our facility, including the production, quality control, customer service, marketing strategy and technical back up. PT. SERUMPUN INDAH LESTARI is committed to give good service, to design and produce the most useful and applicable product for our customers. To do research and publication of machines and equipments for Palm Oil Mill according to the quality assurance stated on the ISO 9001:2008. To provide the best service in terms of; quick response, on time delivery, and budget control. So that customers will gain the satisfaction in doing business with us. To sell and deliver the import products supported by our principals which has been proven its quality according to the experience and references. To increase the human resource by regular training in every department in the purpose of gaining the professionalism in the work field. To provide the effectiveness in transaction, production and service that plays a big role in the growth of the company. To conduct a management system in the work force in creating a discipline and professional working environment. The press is beautifully designed, solidly built and practically structured with no pre-treatment of EFP is equred. 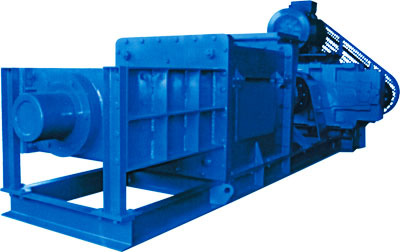 The press is easily operated and operated-freindly, where on operator is able to monitor few units of press. The press is easily maintained and component parts are interchangeable. On-site service & repair are made available & possible by our technically-skilled technician.